With over 15 years of experience in Architectural Design and Construction Management, I will be able to better serve you beyond what traditional realtors can offer. I will work relentlessly to make your buying or selling a wonderful experience. As a certified negotiator, I have a track record of delivering best value to my clients. Prior to becoming a realtor, I was a Consulting Executive and have managed over 100 large scale construction projects. I have delivered millions of dollars of savings or cost reductions for my clients. With the technical depth and breadth of knowledge to navigate pricing models, I will develop the best-in-class negotiation strategy and tactics to deliver the best value for you. Born in China and educated in the states, I speak fluent Chinese and English. Throughout my consulting career, I have been to over 30 counties in Asia, Europe and Africa, which further enriched my appreciation and respect of international culture. I’m proud that I have been able to leverage my diverse background and rich personal experience serving many global clients successfully. As a current resident of Scarsdale, I have been actively involved in many local charities and Asian communities. I’m also a frequent volunteer within the Scarsdale school system. Please contact me to assist you with your real estate needs. I look forward to being of your service. I can be reached at dongsheng.chi@juliabfee.com or call me on my cell phone. 914.217.4196. 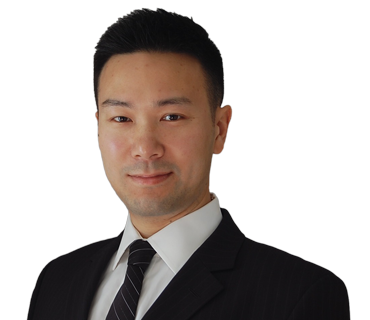 Dongsheng is one of the best realtors we have worked with. We are so impressed by his knowledge of constructions. After seeing so many houses, we knew we would inevitably have to do some renovations, but like many buyers we were also very concerned about the risks of the renovations. Dongsheng has made this extremely easy for us. Not only did he point out the opportunities and risks based on his assessment, he also helped us with cost estimate for the renovations. We truly felt that Dongsheng provided us a one-stop-shop service.